Ralph Saults practices his bulldogging on the steer saver. Photo by Jill Saults. It's the love of the game and the love of kids which has kept Paul Cleveland going for the last 26 years. Since 1990, he has hosted and taught a steer wrestling clinic in Nebraska, and he's calling it quits as the host and facilitator of the school. Cleveland, who lives in Keystone, Nebraska, has had some pretty big names alongside him as instructors at the school. 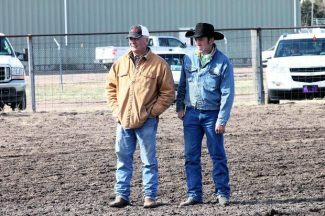 PRCA cowboy greats such as Randy and Todd Suhn, Dru Melvin, Garrett Nokes, Jake Rinehart, and more have helped teach, and all of them, plus more, have been through his school. 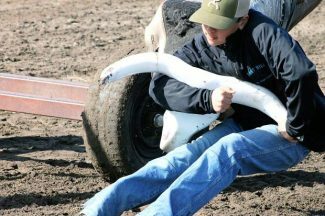 His annual steer wrestling clinic, which took place at the Keith Co. Fairgrounds in Ogallala, Neb., April 2-4, is a three-day affair which sees anywhere from 20 to 50 students a year. The younger kids chute dog – turf a steer from the ground instead of jumping off a horse – while the older kids learn to do it from the back of a horse moving at full speed. There are a lot of parts to a bulldogging run, and when the instructors can slow the run down, students are able to isolate different skills and work on them. The clinic uses a horse saver and a steer saver, machines pulled behind a tractor and four-wheeler, respectively, which control the speed at which the student bulldogs. In the horse saver, a saddle is placed on a mechanical horse, and students learn how to get down onto the steer and "feel what it's like to catch a steer off a horse," said Todd Suhn. "They learn the proper technique to dismount and grab horns and get into a slide." When students are ready, (and a little older and a little bigger), they do their runs from the back of a horse. 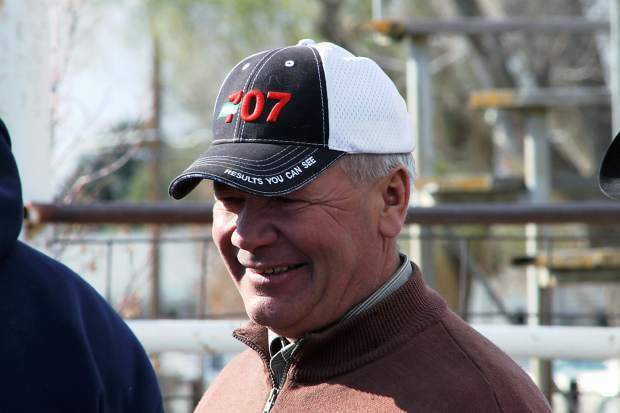 "They progress to the horse and things are a lot faster," Suhn said. "When that happens, they have to be aggressive. There's no halfway in bulldogging. You use (the mechanical horse and steer) to teach them, give them more confidence, so when they're on that horse, they do the right things with their body." Instruction isn't limited to the technical side of bulldogging. Each morning, it begins with life skills. "Every morning we cover a lot of things," Cleveland said. "One morning it's about practice, why we practice, and practicing with a purpose. We also talk about the people we hang out with. We're only as good as the crowd we choose to run with." 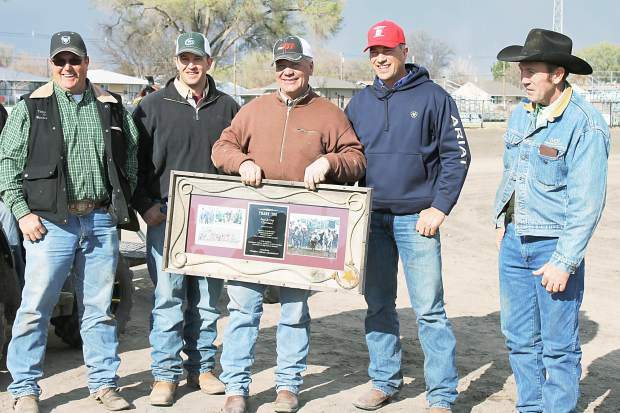 Of the nine students at his very first school, at which he, J.C. Jensen and Todd Westover taught, five of them have qualified for the Wrangler NFR: the Suhn brothers, Melvin, Nokes and Sean Mulligan. He's seen two world champions attend his school as well: Jason Miller, who won the world in 2007, and Frank Thompson, who won it in 2000. But Paul knows success isn't strictly measured by who has been to the NFR. Bulldoggers who have never made the world championship but are excellent at their sport have taught and attended Paul's school. Dean Edelman, Ashby, Neb., helped instruct at some of the early schools. 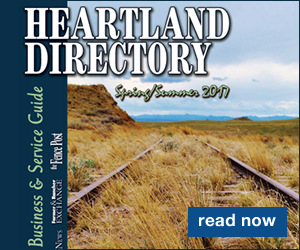 Harrison Halligan, North Platte, who passed away last fall, hazed and offered advice. Dean Finnerty, Wheatland, Wyo., Brady Hageman, Juniata, Neb., Justen Nokes, Hastings, Neb., Brian Fulton and Justin Hammond, Valentine, and the Johnston brothers: Chad, Jason and Jeff are just a few of the steer wrestlers who have attended and/or taught at the clinic. And not only do the instructors have excellent credentials, they're good men, too. "Every man here, they are more than mentors," Cleveland said, "they are role models. There are not a lot of role models left in our world. There are certain times you watch pro sports, and you comment to yourself, 'that's how we don't want to act.'" The school's emphasis and Cleveland's motto has always been to be positive, said Suhn. "We don't beat them down, we build them up. That's what Paul has stressed, and that's what I put on his plaque (he and his wife Deb were presented a plaque during the clinic). That's what it's all about." This was the third year Coltin Hill, a Central Wyoming College student from Blackfoot, Idaho, attended the school. The 22-year-old had high respect for this year's instructors, who were Nokes, Todd Suhn, Dru Melvin, and Jake Rinehart. "You've got a lot of guys who have been to the NFR, and there's more help than you could ever ask for," he said. "You've got not only one guy watching you, but you've got ten guys who have competed and won on a professional level, which is the ultimate goal for me." He's learned so many new things, he can't name them all, including horsemanship and how to ride, "How we're placing our feet in the bulldogging, there are so many things they help me with. It's really nice to have that kind of help, and it's at a professional level. That's how the pros do it, and you've got pros telling you." Coltin took a year off of college rodeo competition due to an ACL surgery and will resume this summer, with pro rodeo and this fall with college rodeo. He and three other college students from Riverton made the trip to Ogallala. Paul got his start steer wrestling when he was a senior in high school in 1979. 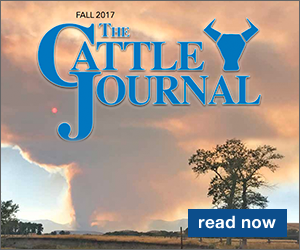 He qualified for the Prairie Circuit Finals a couple of times and was the bulldogging champion in the Nebraska State Rodeo Association and Mid-States Rodeo Association several times, but he never hit the road full time. "I didn't have the drive to live (on the road)," he said. Someone helped him get started, and the clinic is a way to pay it back. "I'd never have been able to do it financially if someone hadn't dove in there to help me, so it's fun to see these guys give of their time." The three-day clinic costs $180 for chute dogging and $300 for steer wrestling, which covers the cost of steers and hotel rooms for instructors; the instructors donate the majority of their time. Paul isn't in it to make money. "We all need to give back to what we do, and this is my way of being able to give back. I'm not in the position to sponsor saddles and things like that. We are very proud of what these kids have accomplished." The best part of the clinic for Suhn, Cleveland, and the other instructors, is seeing kids learn and grow. "You know how it felt the first time you did something," Suhn said. "The hardest thing you'd ever tried, and you accomplished it. It makes every minute worth it, to help these guys out and bring them a chance to learn a sport that I love, when they get started right." Cleveland loves to watch the students progress and get better. "It's a thrill to watch them grow," he said. "They gain confidence. It's fun to see how they develop." He emphasized the character building skills the clinic includes. "A winner isn't always about being first. A winner is how you live, and how you lead." And Cleveland has been a role model as well, for his students and the instructors. Suhn said, "He's helped everybody so much, he's touched so many lives. He's a remarkable man. I'm just lucky to have him in my corner, right from the start, and that's probably why my career went like it did." Suhn has qualified for the Wrangler NFR sixteen times. Even though he will no longer host it, the school will go on, Cleveland said. "No matter what, we'll see to it that it goes on." His wife Deb also helps at the clinic, with registrations, food and lodging, and at the jackpot held on the last day of the school. They have three children: Jade, Brody and Annie; the boys have taken part in instruction in the school, and all three have helped.